Experience is the best teacher for any craft. It is especially true for acting. Learn about acting as a journey. Hear about understanding your niche – not limiting yourself with branding. Why must you get out of a self-imposed box and be fearless – but be a good and likeable person? How can perseverance lead to success? Understand the importance of classes. Why does watching silent movies and seeing story in faces improve being “in character”. It’s not just learning lines – consistent gestures support continuity. Being an actor is a business. Understanding the business is empowering. Learn about the symbiotic relationship between actors and casting directors. What does it take to be an actor that cannot be refused? Hear advice from someone that has worked his way up doing stunts and special effects to having his own acting school. P. David Miller came to Los Angeles/Hollywood in 1998 to pursue a career in Live Action/Physical Special Effects right after serving 16-years in the Marine Corps. He has come a long way from being 15-year-old in a Shakespearean repertory company. He knows the importance of learning and training. David has worked on over 350 special effects projects and acted in over 150 productions that encompassed theatre, feature films, independent films, short films, television, commercials, web series, print and voice over. 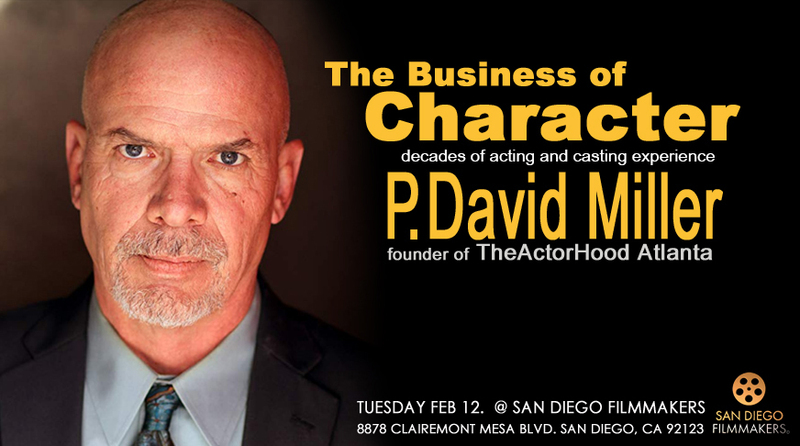 In 2017, he and his wife created and opened The ActorHood – Atlanta (patterned after the ActorHood in Los Angeles) to help share what he has learned through his career. He has now moved back to California.